I love tequila, but I am not at all a shots person. Tequila can be wonderful and delicious on its own without the lime and salt. It should be sipped lovingly at just below room temperature, neat. And same goes for well-made mezcal. 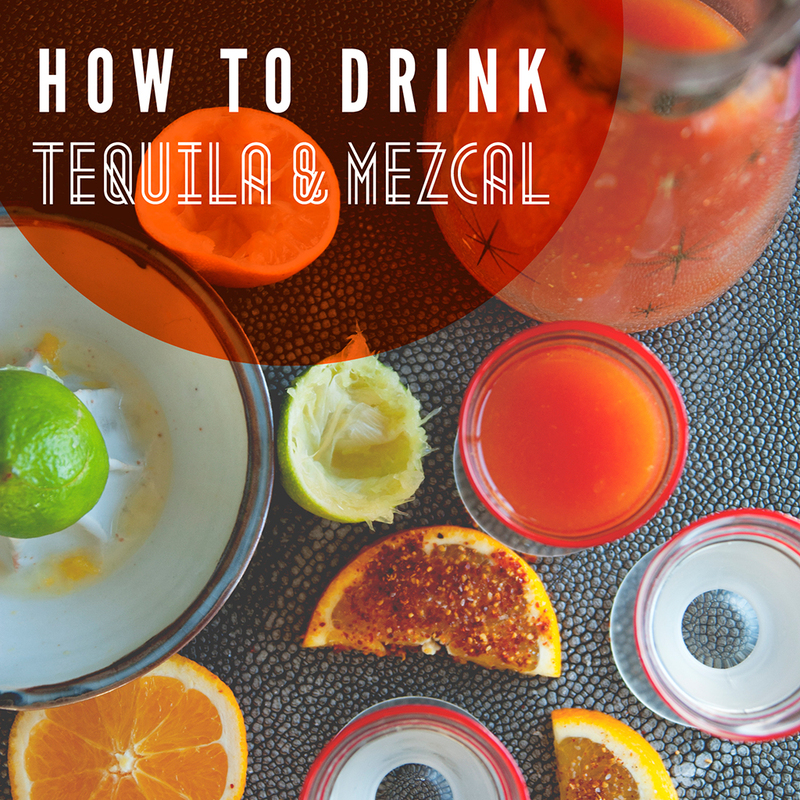 Tequila and mezcal are sort of a square-and-rectangle situation. Technically, tequila is a mezcal, but it's made in a very particular manner (usually steamed and always with blue agave) in a very particular place (Jalisco and a few small areas). Not unlike Champagne, tequila is regulated. Mezcal, on the other hand, is a bit more wild and loose. Mezcal is made with roasted agave, and locals prefer to drink it joven, or unaged. It's clear, peppery, smoky and a touch vegetal, and like Scotch, has a distinct style based on the distiller, farm and process employed. They're also served a little differently down in Mexico. Tequila can be served on its own, but it's also sometimes served with sangrita, meaning "little blood." This accompaniment to tequila blanca became popular in the 1920s and is meant to snap the palette back to attention so you can enjoy the true flavor of the tequila. The bright, acidic and spicy flavor of the sangrita is a fantastic palette cleanser that perfectly complements the flavors of the tequila. Mezcal is typically served with orange slices and sal de gusano (salt ground with the dried caterpillars that infest agaves). The combination of sweet, tart and salty are meant to accent and sort of contradict the flavors in the mezcal. But don't worry, if you can't find sal de gusano, chile salt works just fine as well.